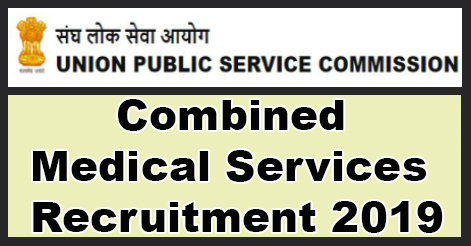 Union Public Service Commission (UPSC), has released notification for the recruitment on various posts under Combined Medical Service Examination 2019. Total no. of Post is 965. Eligible Candidates may apply online from 10 April to 06 May 2019. No other mode/means of application will be accepted. Assistant Divisional Medical Officer in the Railways 300 Up to 32 years as on 01st August 2019 Candidate should be MBBS from a recognized university or equivalent. The screening will be done on the basis of performance in the written test. Qualified applicants will be called for the interview, after which the final selection result will be declared. The Candidate will take the Computer Based examination in two papers, each Paper carrying a maximum of 250 marks. Each Paper will be of two hours duration. Candidates who qualify in the computer-based examination will be called for Interview/ Personality Test to be conducted by the Union Public Service Commission. The Interview/ Personality Test will carry 100 marks. Interested & Eligible Candidates may apply online through the official website www.upsconline.nic.in from 10 April to 06 May 2019. No other modes/means will be accepted. 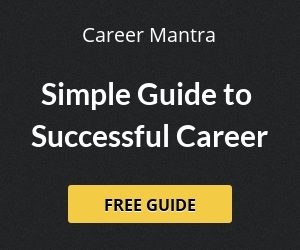 Rs.200/- for General & OBC Candidates. Help us to improve this article/job posting "UPSC Combined Medical Services Examination 2019". We would be glad if you can comment below and provide your valuable suggestions and feedback. If this page have any wrong information/list or out of context content, then you can report us as well.